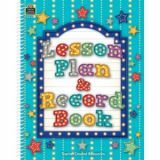 Add some style and a little fun to your desk with this colourful lesson plan and record book. There is plenty of space for lesson plans, attendance records and grades for 40 weeks of school. It also includes a student roster, a birthday chart, monthly planning calendars and a grading chart. 8.5" x 11". Spiral bound. 160 pages. All grades. 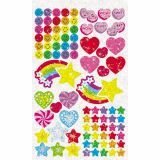 Themed assortment pads include hundreds of assorted, popular TREND stickers in a handy pad to keep it organized. 5 3/4" x 9 1/2". 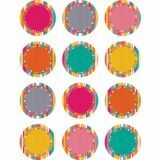 Use these accents to dress up classroom walls and doors, label bins and desks or accent bulletin boards. Each piece is approx. 6". 30 pieces per pack. Keep your eyes on what your students are doing behind. Adjustable up and down and left to right. 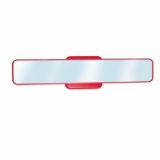 Features clear, wide-angle mirror; firm magnetic hold, non-slip base (5.5"), and hanger holes for mounting on non-magnetic surfaces too. Instructions included. Measures 18"W x 4"H with a 5.5"sq base. Extends 3.25" from mounting surface. Set includes 144 total pieces. 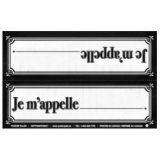 Word cards measures 4½" x 3¼", 28 noun cards, 26 adjective cards, 22 verb cards, 14 pronoun and determiner cards, 12 article cards, 12 punctuation cards, 9 preposition cards, 8 adverb cards, 5 conjuction cards, 8 blank cards. Grades 1-4. 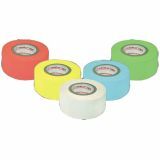 Reuse the tape on many surfaces without leaving marks or chipping paint. 3 colours in each pad. No scent. 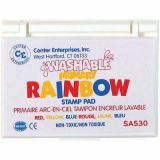 These tented nameplates can stand alone on desks or fold and tape over the front edge of the desk. 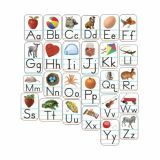 They will help teachers learn student names at the beginning of the year and substitutes identify students all year. 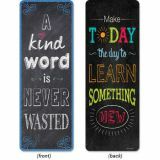 Great for decoration in the classroom or home! Match with coordinating décor. 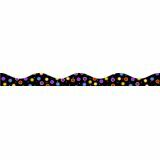 Each section measures 1"H x 12"W. 12 Pieces - 12 ft total length. 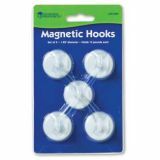 Use on whiteboards, steel lockers, refrigerators, etc. 15 each of 2 designs, Bookmark is approximately 2½" x 7". 30 bookmarks per package.